To the joy of her family and supporters throughout the country, Jayme Closs, the 13-year-old girl who has been missing since Oct. 15, was found alive Thursday night. Three months ago, she was declared missing after her parents were shot and killed in their home in Barron, Wisconsin. But Thursday night, she approached a dog walker on the street in the small town of Gordon, about 70 miles and an hour away from her home, asking for help. A suspect, James Thomas Patterson, in a nearby house was taken into custody shortly after police arrived on the scene. The next day, he was charged with two counts of first-degree murder and kidnapping, authorities said. The teenage girl is currently stable and being treated at a hospital before being reunited with the rest of her family. Closs faces acute treatment and long-term therapy as she recovers from the harrowing events of the last 88 days. At this point, there is little information about what she had endured after being kidnapped. However, we know that most survivors of kidnapping are severely traumatized. Medically, during her acute hospitalization, the treating team will need to evaluate her for signs of bodily harm or malnutrition. It is expected that she will go through a lot of grief, and based on what she has gone through, she is at a very high risk for developing post-traumatic stress disorder (PTSD). “No matter what may unfold in her story let’s all try to remember that this young woman has SURVIVED,” she wrote. It is important that Closs faces what traumatic events occurred to her. Oftentimes when traumatic events take place, the mind tends to try to avoid the memories. Avoidance, however, can do more harm than good. Research has shown that those who accept what happened to them and go through those memories and their emotional response to them are more likely to recover. This should be in the context of treatment with a qualified therapist, though. So it is important that she is not otherwise forced to repeat events, because that can cause a lot of stress on the brain. “Respect her privacy,” says Dr. Brad Foote, clinical associate professor of psychiatry at Montefiore Medical Center. “Don’t assume that she necessarily wants to talk about it right away or that talking about it would be good for her. “Try to let her resume normal life but at her own pace,” Foote added. It is true that there is always much speculation when people undergo such events, even if not all the facts surrounding the situation are known. Even though it is not confirmed that she was in the home when her parents were killed, we do know that at the very least she did lose her parents in a tragic situation. “It can be counterproductive or even harmful if people don’t respect her privacy,” Brand added. Brand said in addition to therapy, there are some medications that help treat PTSD symptoms, including the flashbacks. Social support is crucial when recovering from trauma. Even though Closs lost her parents, she has very supportive relatives around her, which will be invaluable on her road to recovery. Schools need to welcome and accommodate trauma survivors as they reintegrate slowly. Down the line, trauma can affect a person’s ability to concentrate and learn, and survivors may struggle with schooling. Children and adolescents are particularly prone to exhibiting this since their minds are still developing. When children are filled with fear and focused on protecting themselves, stress hormones such as cortisol in the body increase and learning and memory can conversely suffer. It becomes hard to process new information when a person is focused on survival. Despite how horrific the situation she went through was, trauma is treatable. Often when survivors of kidnapping speak about their experiences years down the road, they talk about hope, joy and resilience. After they are finally safe and surrounded by loved ones, the chances of recovery can be good. 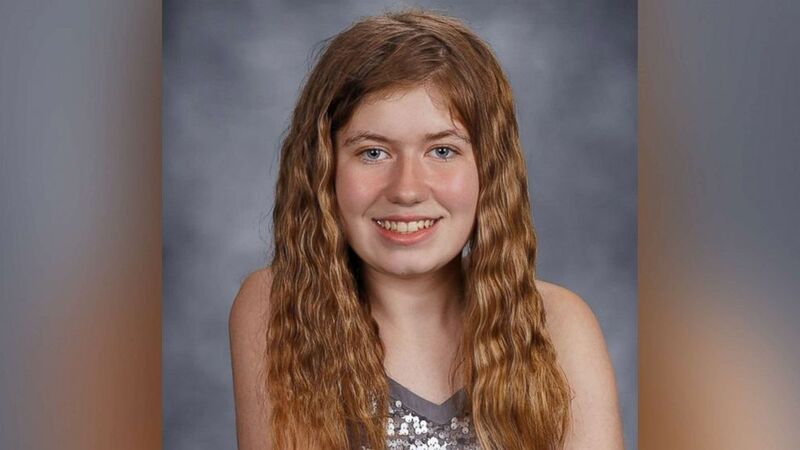 It takes time and work with licensed experts, but the fact that Jayme Closs is already receiving treatment is promising. Azka Afzal, MD, is an Internal Medicine resident physician at the Baylor College of Medicine in Houston and is a member of the ABC News Medical Unit.